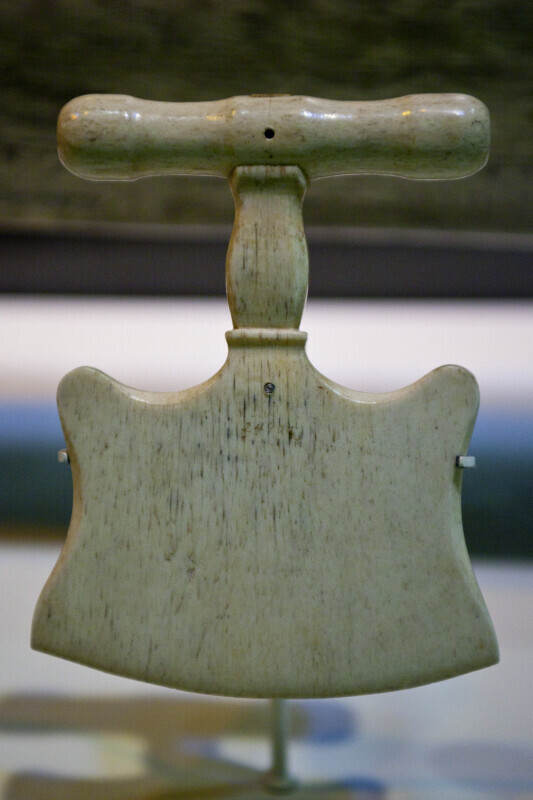 A 19th century scrimshaw food chopper, or mincer, carved from two pieces of a sperm whale's jawbone. The blunt, curved blade was used to chop soft foods such as bread dough, fruits, sausage, and animal fats. WARNING: You are about to download a 50.0 MB TIFF!